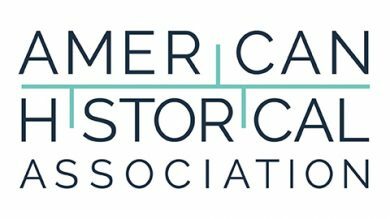 The University of Illinois at Chicago department of history will be part of two American Historical Association-led initiatives funded by the Andrew W. Mellon Foundation. One initiative will focus on redesigning introductory-level courses and the other will center on preparing doctoral students for diverse career paths. 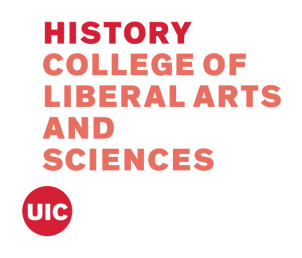 UIC is among 11 two- and four-year institutions in Chicago, Houston and New York selected for History Gateways, a $1.65 million program for the evaluation and revision of introductory college-level history courses to better serve students from all backgrounds. As part of this partnership, the history department will have access to data from the John N. Gardner Institute for Excellence in Undergraduate Education, a nonprofit organization focused on improving outcomes in teaching, learning, retention and completion. “This is an attempt to create a data-driven reconsideration of the way we offer these introductory courses, but with a particular focus on first generation and lesser-served students,” said Christopher Boyer, UIC professor and chair of history. The Gardner Institute’s education researchers and faculty professional development specialists will also meet with a team of UIC history faculty to reassess current course offerings and outline curricular changes aimed at boosting students’ academic success. The UIC group will also meet with counterparts from three Chicago-area institutions involved in the program. “This is an opportunity for us to make ourselves better teachers and to better serve students,” said Boyer, who is also professor of Latin American and Latino studies. The College of Liberal Arts and Sciences has pledged travel funds and institutional analysis in support of the department’s participation in History Gateways, which begins in January 2019 and runs through December 2022. The Career Development Initiative, which launched earlier this semester, is a two-year review of broad-based professional development within the history department’s doctoral program. The department has received funding to support Timothy Herbert, a Ph.D. candidate in history, to serve as a Career Diversity fellow. In collaboration with a faculty team, Herbert will oversee a process that includes an extensive online survey, developed by the Council of Graduate Schools, of the department’s recent master’s and doctoral level graduates. A second survey of all current Ph.D. students will follow. Following meetings with graduate students and faculty, the department will hold a retreat to analyze findings from the surveys and internal feedback. Based on the responses, Herbert and other participants will determine what curricular requirements and department practices may need to be modified, and what new offerings might be necessary to better prepare history doctoral students for careers inside and beyond the academy. “The idea isn’t only to make them better, but also to make the whole department better,” Boyer said.